A WORLD FROM THE ABYSS - CAN YOU SAVE IT?After the sudden emergence of an unknown planet, the world is in a state of emergency. Since then monsters have haunted humanity and assassinated entire families - as well as young Aaron Haver.His greatest wish since then:Become a Venandi to take revenge. But to work as the guardian of the planet, you first have to make it through the C.H.I.L.D. ACADEMY. If you want to read the manga in your own language, feel free to suggest it to your local publishers like Yen Press in the USA/UK for licensing! 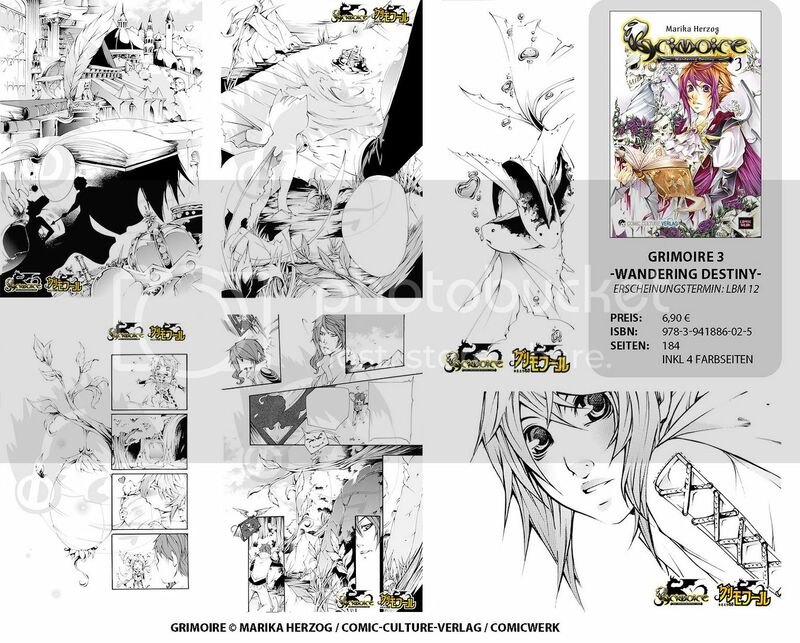 The artbook will contain illustrations from my older works, but also newer ones like Grimoire or Demon Lord Camio. "The manga Demon Lord Camio and Demon King Camio by CHASM (my boyfriend and me), published by Egmont Manga in march 2014 and june 2015 in Germany. So far only a German version of Demon Lord Camio/Demon King Camio has been announced. If you want to read the manga in your own language, feel free to suggest it to your local publishers like Yen Press in the USA/UK for licensing! the manga Demon Lord Camio by CHASM (my boyfriend and me), published by Egmont Manga in March 2014 in Germany. So far only a German version of Demon Lord Camio has been announced. If you want to read the manga in your own language, feel free to suggest it to your local publishers like Yen Press in the USA/UK for licensing! ► company preview: "Shinkan Herbst 2014" pdf-page "41"
The dragon demon Darian and his friends are still looking for five magic artefacts which are said to have the power to bring the great war in the world to an end. Not only do they have to deal with terrifying monsters on their way. A sinister sect which is also looking for the artefacts is close on their heels. Even in Darian's group there is growing dispute on how to best deal with the difficult and dangerous situation … The thrilling fantasy adventure loaded with action and magic is coming closer to its dramatic climax! Finally Darian Kin`jo managed to find the legendary Grimoire and bond with it. Now he and his friends have to seek out the magic places and retrieve the artefacts, so they can end the war. But they are not alone on their way to find the "place that fulfills all wishes". Shadowy figures ar trying to foil their plans with their evil doings. Will our friends in spite of all dangers be able to reach their gowl, the Water City?? This exciting underwater adventure tells of life´s heavy burden: there is no escape from destiny.